This text is a pleasure to read due to the superb descriptive detail and wide ranging vocabulary, but also as it is delightfully written in ‘proper English’. ~ Review by EducationOtherwise.org, EO Newsletter, Spring 2018. Extinction, habitat destruction, deforestation… How would you feel if your home was flattened to make space for others? 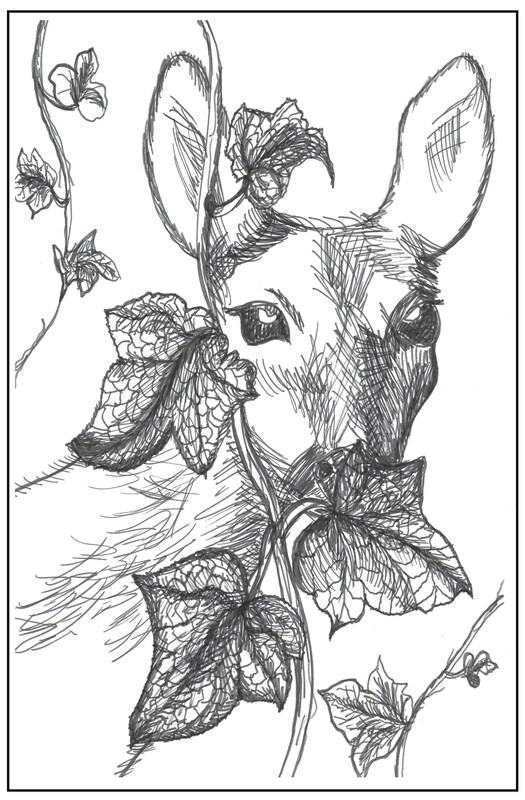 Dakota the Deer, Flint the Fox, Bentley the Bat and other animals live in a forest, co-existing in an uneasy truce with some nearby humans. Then a strange animal, Whanganui the Weasel, arrives, having fled something too frightening to speak of. Just as he fears, the humans come and their actions threaten to destroy the animals’ lives. When one of the animals goes missing, it’s the final straw. The animals decide to do something they’ve never attempted before. As they’re swept up in a terrible chain of events they can’t control, will they have what it takes to defeat forces they have no name for? 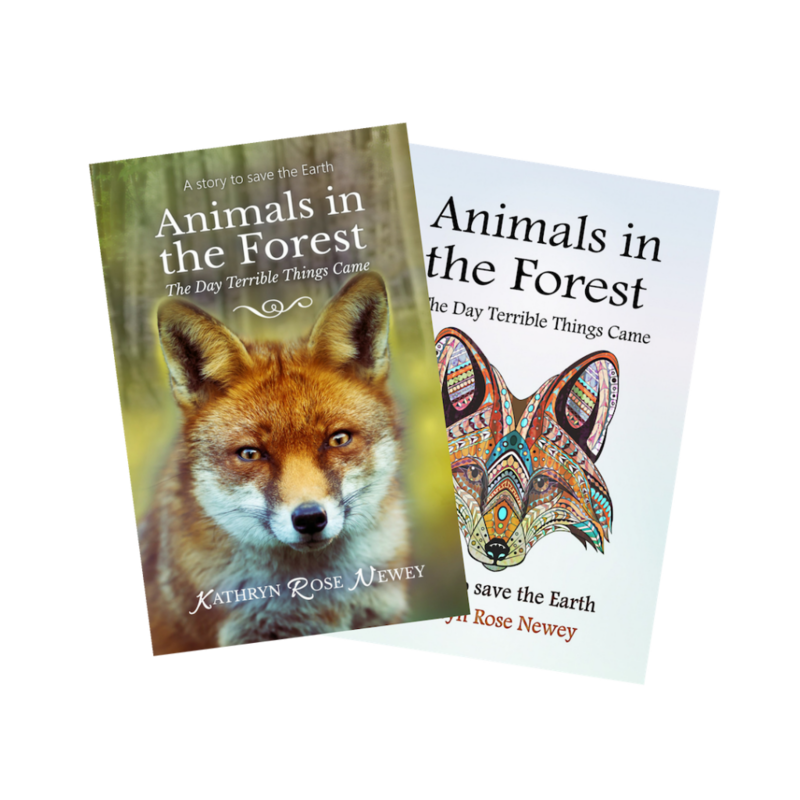 “‘Animals in the Forest’: I can say the author cares about animals and the environment very much… Kathryn Rose Newey is letting us step into the animals’ shoes and showing us the terrible feelings they have when we ruin their homes. I rate this book 100%, it really touched my heart.” ~ 5 Star Review by Reader, aged 13. 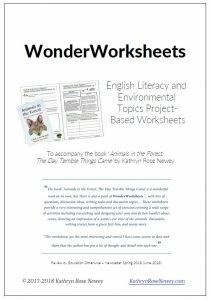 To help kids and teens get the most out of the book, there is a complementary booklet of WonderWorksheets Set A, focusing on reading comprehension and fiction writing activities linked to the literacy and environmental themes in the book. In addition, you can explore environmental and nature conservation issues in more depth with the booklet of WonderWorksheets Set B. These can mostly be used on their own, without the book.